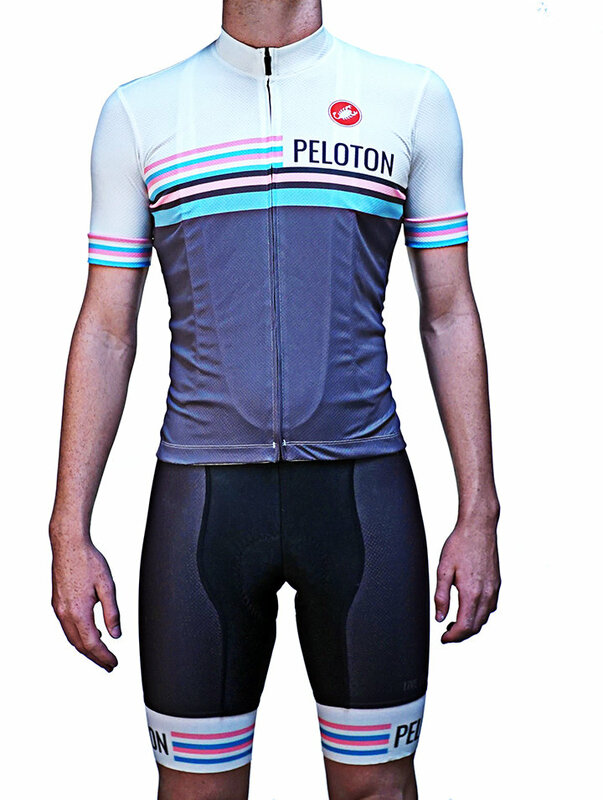 Made by Castelli we go white on top with some classic horizontal stripes and a tasteful gray on the bottom. Look on the back and you'll see our motto "Live. Love. Ride. Repeat." on the pockets. Simple and classic with a training fit.